On the latest episode of the Secrets of the Sire radio show and podcast: Tony Stark, aka Iron Man, will be replaced by a 15-year old black female named Riri Williams. Making the new Iron Man, uh, a woman. And a minority at that. Is this forced diversity again? Or merely the makings of the next Miles Morales? What about the fact that Bendis himself is a white guy and folks are complaining about that? We dive into ALL of it! PLUS: We launch our Plan 10 from OuterSpace Kickstarter live on air and welcome Big Dog Ink publisher Tom Hutchison on air to give us his take on the controversy and his San Diego #ComicCon preview. The New Iron Man… er Maiden? 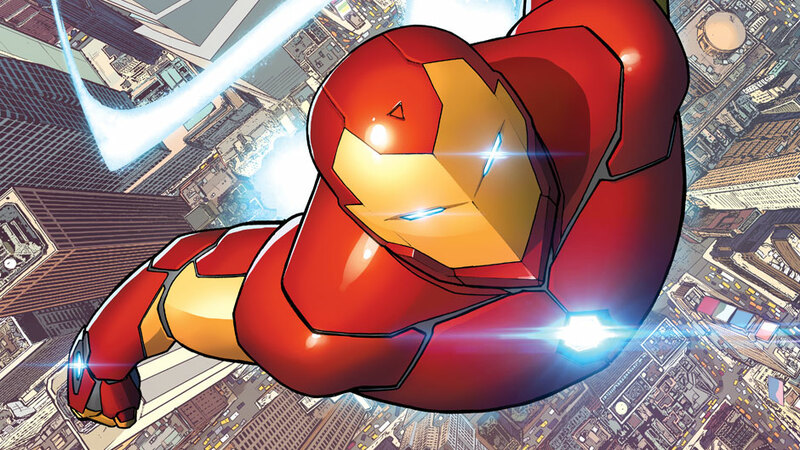 “Written by Bendis and drawn by Stefano Caselli, the decision to replace the popular Stark as Iron Man with a minority female character is a move that was surely designed to move the needle. And according to Brian, he’s ready for the reaction from the expected reaction from the fans. Next week: We welcome BOOM! Studios on air to give us their San Diego ComicCon preview and talk up the bomb of a movie that was Plan 9 From Outer Space!